Within the region, Indonesia and Philippines have the highest shortage of hospital beds and are targets for hospital expansions. About 4.2 Million new beds will be needed over next decade to meet the healthcare demand in APAC; more than 40% of that is expected to come from the private sector. Indonesia’s private hospitals will continue to expand, estimated that more than 35,000 new beds could be added in Indonesia by 2020 to capture the substantial base of affluent medical tourists that travel to Singapore, Malaysia, Thailand for treatment. Lnoppen`s South East Asia Retail Expansion Summit gathered Hospital Operators, Investors, Building Constructor, Designers and Architects, Academia, Solution Providers, Pharmaceutical and Scientific Research Firm, Consultants and Associations in a focused two-day program designed to enhance business. After his opening remarks, Mr. Jeffrey Bahar, Group Deputy CEO from Spire Consulting and Research kicked off the first day of the summit by giving a very detailed overview of the hospital development and healthcare in Indonesia. He discussed where the money went and reasons to invest in Indonesia’s health industry. During his breakdown, it became clear how the industry is held back by low healthcare expenditures, shortage of healthcare professionals and inequitable health financing. This led way for the 2nd presentation of the day, by Ms. Sherene Azli, CEO from MHTC (Malaysia Healthcare Tourism Council). Ms. Azli started off by an overview of Malaysia’s healthcare travel and what it means for the future hospitals. She also mentioned challenges for Asia’s medical tourism and the rise of other regions medical tourism destination. After taking a look at the healthcare travel in Malaysia, Dr. Grace Frelita Indradjaja MM, Director of Siloam Hospitals Group introduced us to the involvement of Siloam Hospitals Group for the healthcare expansion in Indonesia, and its challenges for opening new hospitals regarding the government regulations also shortage of trained medical officer. 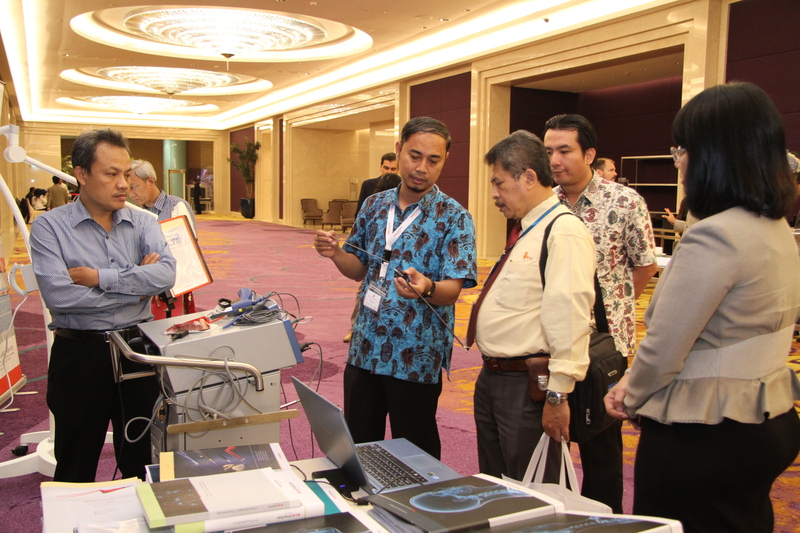 After the first tea break, the focus was shifted to turnkey solutions for hospitals. 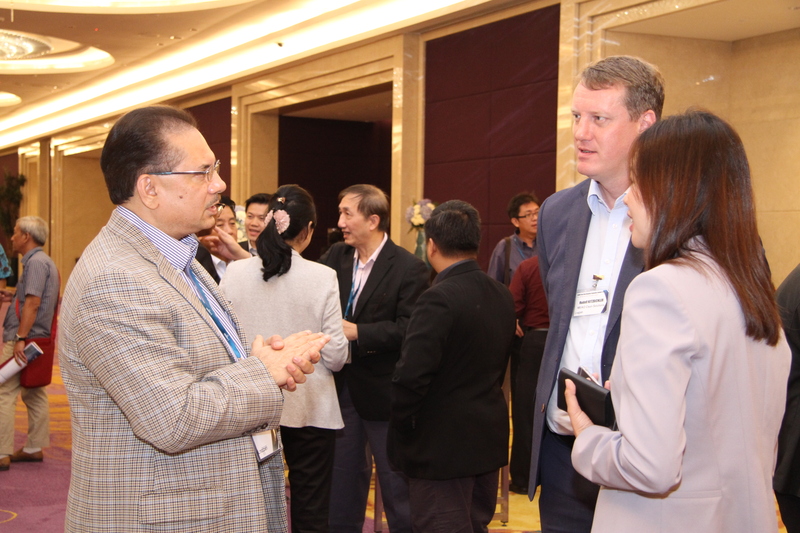 We first heard from Mr. Jamie Shaw, International Sales and Marketing System Strategic Account Manager (PMLS) SEA – Mindray about Mindray’s products and solutions, including patient monitoring and life support products, In-Vitro diagnostic products and medical imaging system. 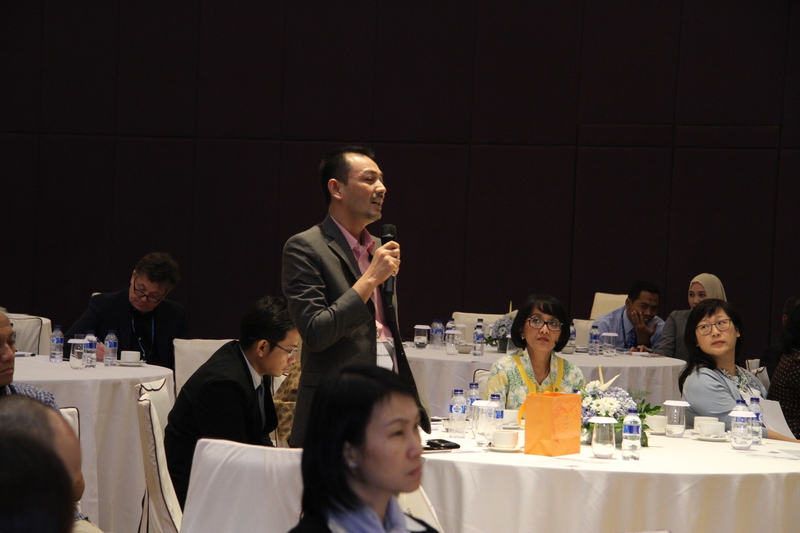 Right before lunch-break, Dr. Tanatip Suppradit MD, Vice President of Thonburi Hospital Group Thailand showed the attending delegates information on Thailand’s healthcare experience, resource competitiveness, and challenges. The afternoon of the first day was divided in three main subjects. We started off with Mr. John Cooper, Director – John Cooper Architecture who gave a very passionate speech about the emerging trends of healthcare design and delivery. His speech was followed by a presentation from Maquet. Mr. Stephane Sabathier, Vice President of Sales from Maquet Asia Pacific followed the topic about designing and building a modern integrated operating room. He showed the delegates what they should take into account when looking to build a new OR, he also emphasized to draft the plan early. Last session was presented by Dr. Krishan Kumar Kalra, CEO of NABH (National Accreditation Board for Hospitals and Healthcare Providers) –Quality Council of India. He gave more insights into India’s medical tourism and the role of NABH in healthcare quality and patient safety. The other topic for the afternoon session was about how to successfully obtaining hospital international accreditation from JCI, the floor was handed over to Dr. Prabhu Vinayagam, Managing Director of JCI (Joint Commission International) APAC who gave a clear overview of accreditation preparation process. Dr. Togar Siallagan, MM, MA. Head of R&D at BPJS (Indonesian Social Security Bodies in Health sector) brought the first day with the detailed overview to improving access to healthcare services in Indonesia, towards Universal Coverage by 2019. After this, Dr. Santosh Kumar, closed the first day by giving some remarks of what was discussed during the day and inviting everybody to the 2nd day of the summit. The second day started with the presentation of Mr. Abrar Mir, Managing Partner – Quadria Capita. Mr. Mir presented Indonesia’s healthcare current and future investment opportunities. Mr. Michael Fernandes, Partner – LeapFrog Investments shared his ideas on introducing consumers to essential services. 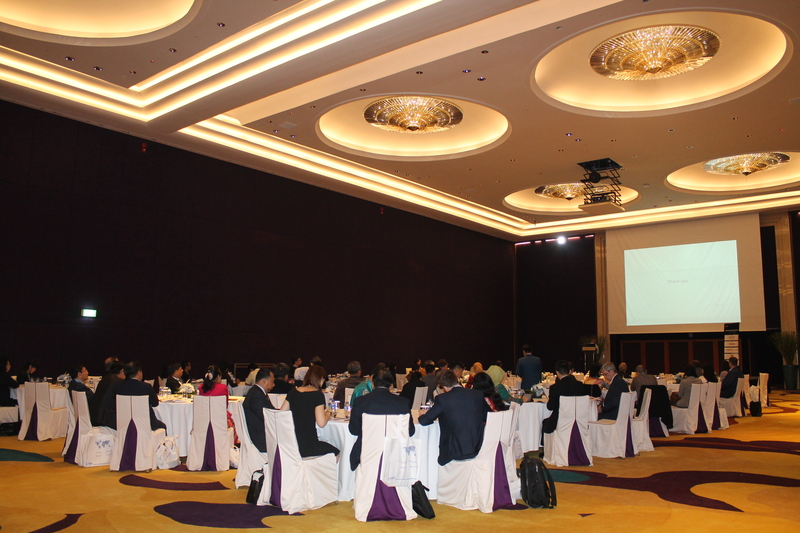 After Mr. Fernandes session, the delegates learnt about the future healthcare trends in South East Asia. Mr. Klaus Boehncke, Executive Director of PwC South East Asia presented on the healthcare market revolution. Before the networking session, the focus was shifted to Ms. Angela Lee, Principal and Managing Director Asia Pacific of HKS Inc; she introduced the development trends in healthcare design. Ms. Lee shared her experience about HKS case study and explained how reducing costs, adding value, and increasing operational efficiency is part of the development trend in building new hospitals. 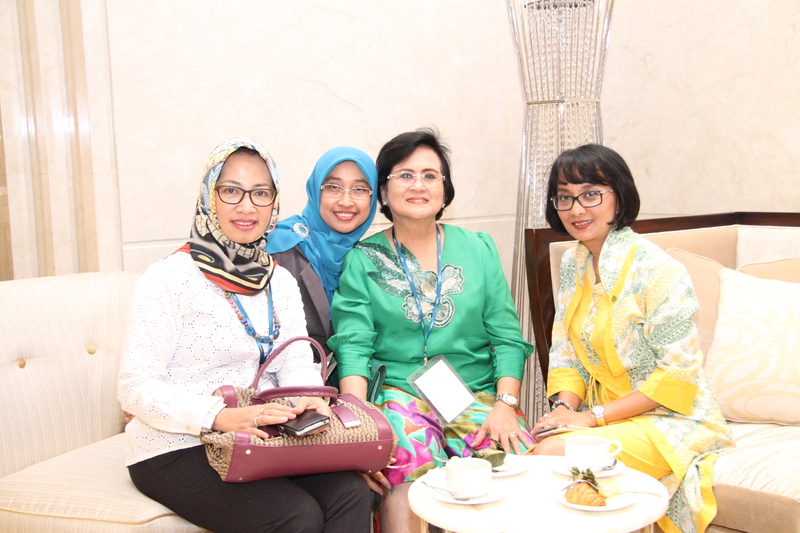 After the tea break networking session, focus was on lowering hospital operational cost. Dr. Rochman Arif M.Kes, Operational Director from RS Sardjito gave innovative ways to reduce costs while keeping the quality. Dr. Lia Partakusuma, SpPK(K) MM MARS, Chairman of Committee for Green Hospital from PERSI (Indonesia Hospital Association) took over and stressed the importance of the use of innovative technology to create Green Hospitals. The summit came by Dr. Dini Handayani, MARS, Corporate Medical Manager from Awal Bros Hospital Group; Dr. Dini shared some final thoughts about experience and challenges with maintaining quality standards within hospitals – four of eight Awal Bros hospitals received international accreditation from JCI. Lnoppen would like to thank delegates for their active participations. Their questions spoke to the heart of the main issues facing the retail industry and their eagerness to build the industry is commendable. 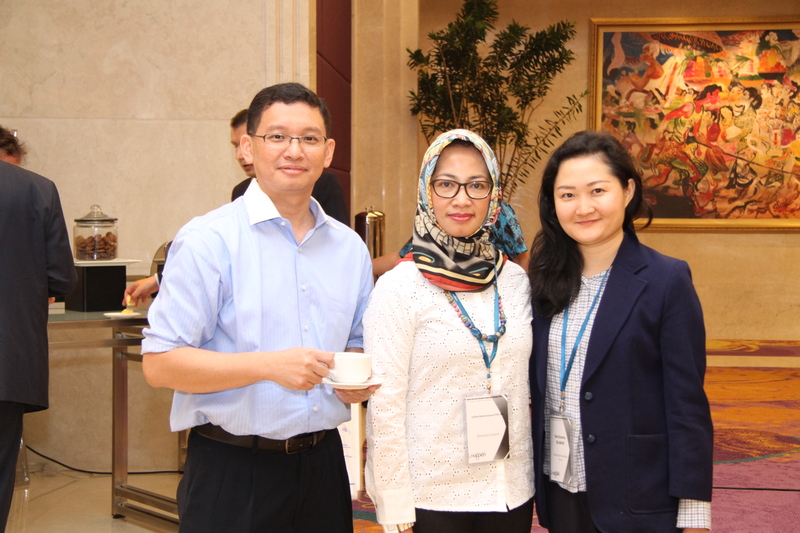 Lnoppen would like to express a special thanks to the sponsors of the South East Asia Hospital Expansion Summit: Maquet, Mindray, PT Atra Widiya Agung - KLS Martin Group, and Knauf AMF GmbH & Co KG for their contributions to the event.